Despite your best efforts at prevention, sometimes the flu just happens. If you work with the public or have children in school, you and your family will be exposed, and sometimes those viruses are simply tougher than your immune system. Transmission rates are increasing to a worrisome point, according to the CDC. When someone in your home is sick, one of your first goals is not to pass the illness on to other family members. The other priority is treating the sick people in the house with remedies that strengthen them rather than weaken them. It’s important to make an effort to contain the illness. Despite your best efforts, it may not work, but it’s worth a try. I’d like to note that antibacterial products are highly controversial. It’s my belief that the problem is the overuse of antibacterial products that causes the issues. I believe that if used judiciously, they can be very effective aids in preventing the spread of an illness. Try these techniques to help contain the contagion. Isolate the family member as much as possible. Obviously, this doesn’t work well if the sick person is a young child. Immediately wash cutlery and dishes used by the sick family member in very hot water containing a couple of drops of bleach. Then, wash the items again with your regular, non-toxic dish soap. Wipe items handled by the sick person with antibacterial wipes (I keep Clorox wipes on hand for this purpose.) Things like the telephone, the television remote, the computer keyboard, door handles, faucets, taps, and the toilet flush should be wiped before someone else touches them. The sick person can help by wiping things after they’ve touched them. If you must touch items that the sick person has used, immediately wash your hands afterwards. Wash all linens and clothing that the sick person has been in contact with using hot water and color safe bleach. If the weather permits, open the windows for at least an hour per day to air out the rooms of the house where the sick person spends time. Today, I avoid the pharmaceutical solutions because I choose not to use them. One day, we could be in a situation where relief is no longer available a few minutes away at our local pharmacies or department store. It’s important to learn now how to relieve unpleasant symptoms using simple home methods. This will help you to select the most useful items for your stockpile while allowing you to become more comfortable with using natural solutions. We always stock everything we might need to fight off a bout of illness, whether it’s the flu, the common cold, or some other type of sickness. We keep on hand chicken or turkey soup (home-canned is the most nutritious), rice and pasta, tea, honey, juice, and ginger-ale. These provide both comfort and essential nutrients to help family members recover more quickly, and if the adults happen to be sick, no one has to venture out when they feel terrible in order to buy the necessary items. Aside from that, we keep a well-stocked cabinet of home remedies. Forget heading to the petri dish that is your local pharmacy and don’t think that you require exotic ingredients gathered on the night before the full moon by a left-handed virgin. Many of these items can be found right in your kitchen – there are lots of things you probably already have that help reduce the misery to a tolerable level without the risk of nasty side effects! Note: I’m not a doctor, nor do I play one on TV. These home remedies are for informational purposes only and are not a substitute for medical attention from a professional. First, I want to reinforce one recommendation that isn’t a standard addition to most kitchens. If you purchase one thing to fight off the flu, make it elderberry syrup or extract. Medicinal use of the elderberry goes all the way back to Hippocrates. Around the globe, folk medicine is full of recipes containing elderberries. Recent research has shown some very significant results with the use of elderberry when treating the flu. For anyone concerned about the possibility of a serious pandemic in the future, elderberry is a vital addition to your home pharmacy. Elderberry syrup or extract can be mixed with hot water to make a tea. It can also be added to sparkling water and served cold for a refreshing drink that will soothe a scratchy throat. Learn more about the benefits of elderberry extract HERE. Specifically, you want to stock up on raw honey, rather than pasteurized. When honey is heated during the pasteurization process many of its health benefits are either lost or diminished. If you don’t have raw honey, use what you have, but when shopping, look specifically for unheated honey. Honey is antibacterial, antifungal, and antiviral. This means that before you know the source of an illness (virus, fungus or bacteria) you can still begin to treat the problem. Sprinkle honey with powdered cinnamon and take a teaspoon 3 times per day as soon as you start to feel a little tickle in your throat. This can often prevent the illness from taking hold. Instead of reaching for the cough syrup, try a teaspoon of honey before bedtime to soothe your cough. Honey taken this way is also very soothing to sore, inflamed throats. Learn more about the benefits of raw honey HERE. Not everyone can tolerate spicy food, particularly when they are sick. However, if you can, there is no better way to clear your sinuses. Capsaicin is the natural compound that is found in hot peppers – it’s what gives them their heat. The capsaicin can help thin mucus, causing your nose to run, and thus clearing your nasal passages. You can get a similar effect from freshly cut onions. A spicy bowl of chili or a fiery Asian stir-fry could be just what the doctor ordered for sinus relief. Green Tea is the perfect beverage for someone suffering from the flu. A cup of green tea that has been steeped for 3-5 minutes is loaded with immunity-boosting antioxidants. This helps your cells to fight off the germs which are making you sick. Any hot beverage will help warm up someone suffering from chills, and you can sweeten it with honey (mentioned above) to make the drink even more powerful. As well, it’s important to keep hydrated when you have the flu and tea (of any type) will provide you with needed fluids. Both garlic and onions contain the compound allicin, a powerful flu fighter. Allicin has strong anti-viral and anti-bacterial characteristics. It is most likely the high content of garlic and onions in homemade chicken soup that gives it the reputation of a “bowl of penicillin”. In the 18th century in France, peasants drank wine with crushed garlic in it to ward off the Black Plague. Similarly to the hot peppers, mentioned above, a fragrant soup loaded with these two ingredients can help to clear nasal passages making it easier to breathe. Yogurt can’t be tolerated in all episodes of stomach and intestinal upsets. However, yogurt with active cultures can help to rebalance the “good flora” in your stomach and intestinal tract, making it especially valuable for treating diarrhea. Regular consumption of yogurt can actually prevent stomach viruses in the first place by making your digestive tract inhospitable to viruses. Black tea is rich in tannins, which have been a longtime home treatment for diarrhea. You can sweeten your tea but leave out the milk until you’re feeling better. 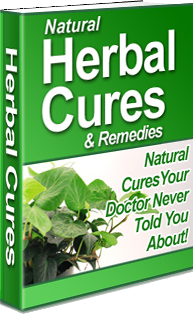 Goldenseal capsules or extract can be used in the treatment of diarrhea. Goldenseal kills certain bacteria, like e coli, which can cause diarrhea. Ginger is a natural anti-inflammatory with a long history in traditional Chinese medicine for the treatment of nausea, motion sickness and morning sickness. Ginger can be found in the form of tea, the root itself or in tablets. Keep in mind, though, if you are vomiting already, ginger, especially in the form of tea, can make the experience far more unpleasant because of worsened esophageal reflux. Ginger tea, taken twice per day, can help relieve flu symptoms such as headache, sore throat, congestions and chills. Make the tea by steeping 2 tbsp of fresh ginger in a cup of hot water. It’s not recommended to exceed 4 grams of ginger per day – components in the herb can cause irritation of the mouth, heartburn and diarrhea if taken in excess. When purchasing ginger tablets, read the ingredients carefully. Gravol makes a “Natural Source” ginger chewable pill containing certified organic ginger. I was really excited because you can find that in even the tiniest pharmacy. However, upon closer inspection, the ingredients listed “aspartame”. Ummm. NO, I won’t add a proven neurotoxin to my organic herbal remedy, thanks. A gargle made from salt water can relieve a sore throat. As well, it can stop a budding infection in its tracks. Mix 1 tablespoon of salt with a cup of water and gargle. I always keep a jar of this homemade cough syrup in my refrigerator. It tastes so good that I don’t have to ask my kids twice to take it. You can give a tablespoon as needed right from the jar, or you can also stir a few tablespoons of the syrup into hot water for a homemade “Neo-Citran”-style hot drink without all the nasty chemicals. It would be impossible to make the list comprehensive! Do you have some home cold and flu remedies that you have used successfully? Please share them in the comments!